Dr. James O’Brien attended St. Michael’s College and received a Bachelor of Arts degree in 1982. In 1988, he received his Medical Degree from the Royal College of Surgeons, in Ireland. Dr. O’Brien continued on to complete his Medical Residency as Chief Medical Resident at St. Vincent’s Hospital and Medical Center in Manhattan in 1992. He then completed a Cardiology Fellowship in 1995 at Tufts University/Baystate Medical Center in Massachusetts and then an additional Fellowship specializing in Cardiac Electrophysiology and Pacing at Georgetown University Hospital in 1996. 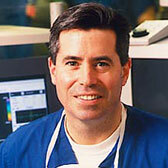 Dr. O’Brien is Board Certified in Internal Medicine and Cardiology as well as Clinical Cardiac Electrophysiology. He has completed the Special Competency Examination in Cardiac Pacing and Defibrillation offered by the North American Society of Pacing and Electrophysiology. Dr. O’Brien is an Assistant Professor of Medicine at the Albany Medical College, the Director of Cardiac Arrythmia Services at Capital Cardiology Associates and is an attending electrophysiologist at St. Peter’s Hospital in Albany. Dr. O’Brien’s cardiology specialities included general cardiovascular disease with a special interest in arrhythmia management with emphasis on catheter ablation, device therapy including cardiac defibrillator and pacemaker implantation as well as outpatient arrhythmia management. He also provides implantation of the Boston Scientific Watchman device.